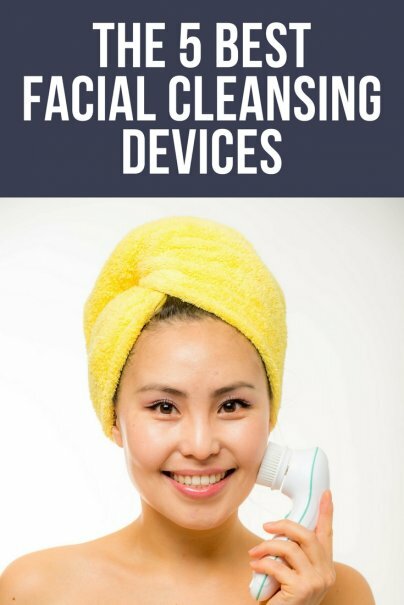 What is a facial cleansing device? A facial cleansing device is a cleansing tool that can be used to intensify the effects of facial skin cleanser. It can deep clean the skin, reduce the appearance of pores, and even provide anti-aging benefits. 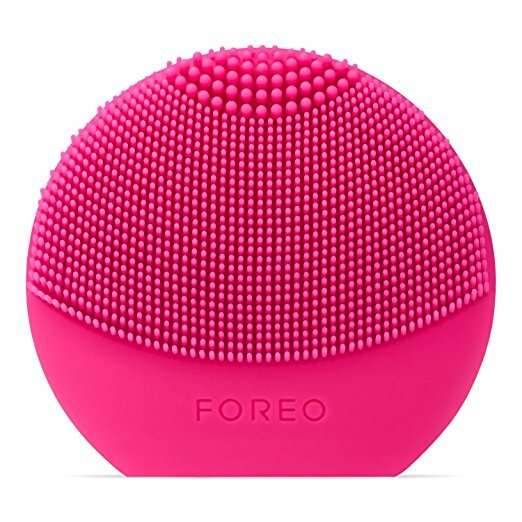 The cult classic FOREO LUNA Play Plus Portable Facial Cleansing Brush cleans and massages at the same time. 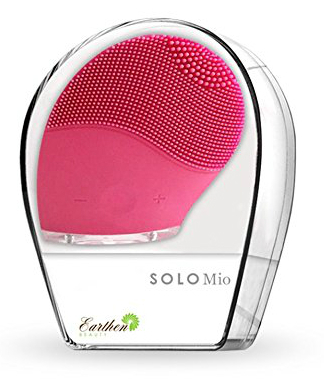 The powerful, compact sonic face cleanser is ergonomic, lightweight, and comfortable to use. The large, two-zone facial cleansing brush head is made of ultra-hygienic silicone and has long ultrasoft bristles. Dual level touchpoints target larger areas and tough areas like the T-zone. Up to 8,000 T-sonic pulsations per minute help even out complexion, reduce the appearance of pores, and thoroughly remove dirt, oil, and makeup residue. The waterproof, hypoallergenic, phthalate-free, BPA-free skin care device works on all skin types, from sensitive to acne-prone skin. It's available in a range of colors and is powered by a replaceable AAA battery (included). It has outstanding online reviews and is frequently recommended online by publications like Allure, OK! Magazine, and Heavy.com. 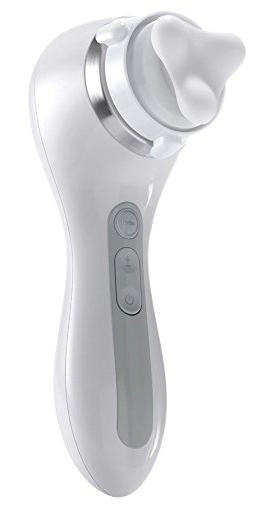 The Clarisonic Smart Profile Uplift 2-in-1 Cleansing Device is designed to gently, effectively cleanse the face while visibly improving 15 signs of aging on the face, neck, and décolleté. The sonic cleansing device can remove makeup, dirt, oil, and sweat six times better than hands alone, leaving the skin soft, smooth, and bright. The waterproof cleansing brush and firming massage head also delivers 27,000 micro-firming massages per use to smooth the look of pores, fine lines, and wrinkles. This is available in different colors and works on all skin types, including sensitive skin. 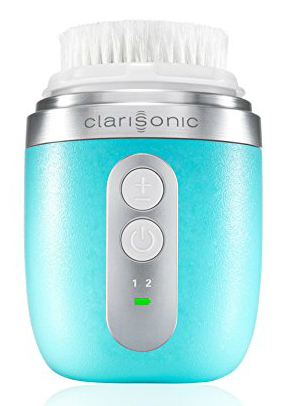 Clarisonic is the #1 cleansing device recommended by U.S. dermatologists, and this is also a Glamour Beauty Award Winner and recommended by Allure and NewBeauty. It is also backed by a two-year warranty. 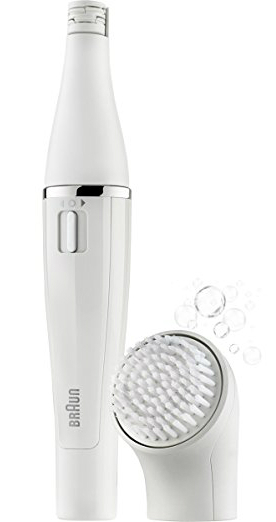 The SOLO Mio Sonic Face Cleanser and Massager Brush is a two-in-one device with cleansing on one side and massaging on the other side. The handheld device offers sonic cleansing technology, which uses thousands of gentle pulsations per minute to thoroughly remove dirt, oil, and makeup residue. It has a large cleaning surface and angled head to better target the T-zone in order to reduce pore size, erase fine lines, and exfoliate your skin. The massaging side has thousands of silicone micro-fingers to help boost the blood circulation. This can help reduce the appearance of fine lines and wrinkles and increase the production of collagen and elastin to restore skin's firmness and elasticity. This is available in two colors and works on all skin types, including sensitive skin. It is rechargeable and should last more than a month per charge. It is an Amazon best-seller, recommended by Heavy.com, and has more than 500 five-star reviews on Amazon. The waterproof cleansing brush promises instant results and is backed by a 100% money-back guarantee. The Braun Face 851 is the world's first facial epilator and cleansing brush system. The sonic-cleansing brush gently cleanses skin with hundreds of micro-oscillations to thoroughly remove dirt, oil, and makeup. The waterproof two-in-one gadget delivers deep cleansing that is six times more effective than manual cleansing. The slim, precise epilator has 10 micro-openings to remove even the smallest hairs for even softer, smoother skin. The dermatologist-tested complete skin care regimen is ideal for daily use on all skin types, including sensitive skin. The set includes a beauty pouch and four different facial cleansing brushes: normal brush, extra sensitive brush, exfoliation brush, and beauty sponge. The set is recommended by InStyle and has outstanding online reviews. The waterproof Clarisonic Mia FIT uses patented sonic oscillation technology and fluid forces to create 300 micro massage movements every second. This creates a vacuum effect, which works six times better than hands alone to remove dirt, oil, sweat, and makeup. The compact, lightweight daily sonic cleansing device also clears pores to help prevent future skin issues. The dermatologist-tested device is gentle enough for twice-a-day use on all skin types, including sensitive skin. It has impressive claims, such as 96% of women reporting smoother, softer, healthier-looking skin after use. Clarisonic is the #1 cleansing device recommended by U.S. dermatologists, and this is also recommended by The Independent and backed by a two-year warranty. And those are our recommendations for the best facial cleansing devices. As always, be sure to check Wise Bread's Buying Calendar to learn when and how to buy just about anything!